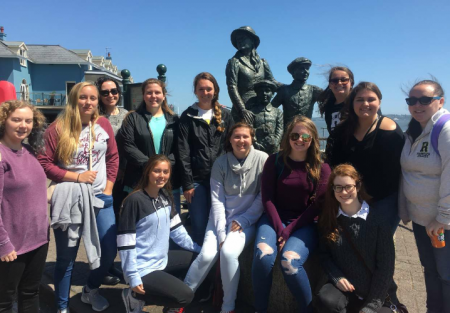 A group of Randolph history students recently spent time in New York City and Ireland studying immigration and emigration, the struggle of the Irish to gain independence from Britain, the Protestant-Catholic divide, and other aspects of Irish culture. Twelve students, along with history professors John d’Entremont and Gerry Sherayko, embarked on the trip, which began in New York City on May 14. 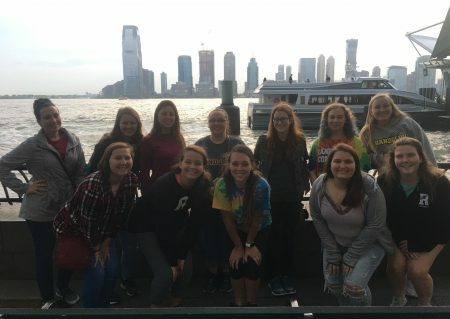 During their three days in the city, the group visited sites like Ellis Island, the Irish Hunger Memorial, and the Statue of Liberty. They then flew to Ireland, where they toured even more historic and cultural sites in Cobh, Cork Harbor, Dublin, and Belfast. Some of the highlights included a visit to the Kilmainham Gaol prison, the National Museum of Ireland, and the National Gallery of Ireland. 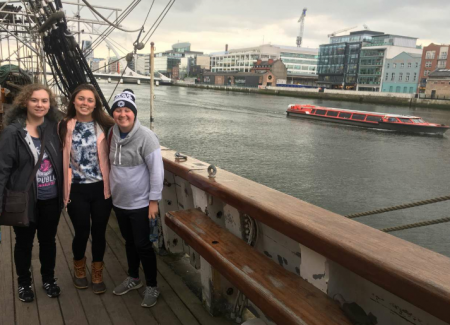 For Katie Jones ’19, the best part was meeting new people and immersing herself in Irish culture. Another focus of the trip was to highlight recent cultural change that has taken place in the country. d’Entremont said that modern Irish people, especially the younger population, are breaking free culturally, religiously, and politically from traditional values and beliefs. For example, a referendum legalized divorce in Ireland in the 1990s, and in 2015, Ireland became the first nation in history to legalize gay marriage by popular referendum. During their trip, the country also voted to legalize abortion during the first 12 weeks of pregnancy.